This question is very disturbing for many and I understand why. Satan, the enemy of YAH/ELOHIM/GOD and YAH’S Creation has set out with all his might to destroy YAH’S people and world which was beautifully created in the beginning of time. 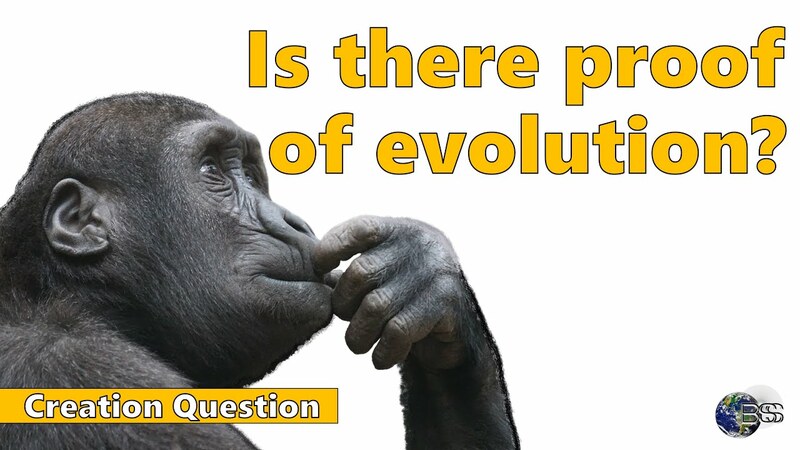 One of the answers is that: EVOLUTION IS A THEORY whereas CREATION IS A FACT!!! For you to accept THE TRUTH OF THIS MATTER, you need to appreciate the existence of YAH/ELOHIM (a.k.a GOD) Almighty! YAH Almighty is three persons and yet one! As the Book of Genesis says, YAH created the world and everything in it. Why would the Book of Genesis say that man and woman was created in YAH THE HOLY TRINITY’S image and after HIS likeness and science say that man and woman evolved from animals over time? Yes, we human beings have similarities with some animals but it does not mean that we evolved from them. 4 This is the account of heaven and earth when they were created, at the time when Yahweh Elohim made earth and heaven. The question now is that Who created Science? Did science create GOD or GOD created Science? 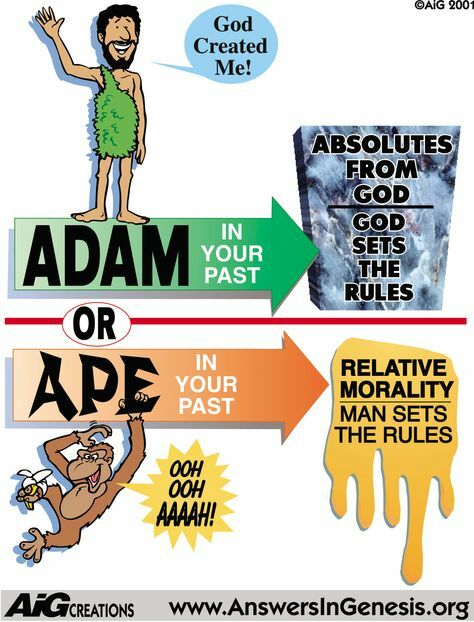 How old is Science compared to GOD Almighty? If you can answer the above questions truthfully, then you are on your way to finding the REAL TRUTH that Satan has been hiding from you all this while? In this Ministry, we believe in the existence of AN ALMIGHTY GOD who is bigger than all things. We also believe that this GOD whose Hebrew name is YAH and ELOHIM (the rest are just titles) is in control of everything in this world. That GOD inspired some men of old to write various books detailing what happened in the past since the creation of the world that were eventually put together to form what we call today: THE HOLY BIBLE. It has been proven that the HOLY BIBLE is the most sought after Book in the entire world. Many people have it in their possession whether they read it or not. Some even believe that when they place it under their pillow at night, they will be protected in their sleep. The HOLY BIBLE is a very powerful book spiritually. Many make reference to it whether they believe it or not. It is a very influential book. Sadly, many atheists who have made up their minds not to believe in the existence of GOD ALMIGHTY or even have anything to do with this GOD have ended up making reference to the HOLY BIBLE. There are various testimonies of atheists who have become True Children of YAH (a.k.a GOD) Almighty. Most of them had special supernatural encounters which they explain well in natural words to mankind. It is our belief that this world is NOT millions of years old as said by some. It can not be based on some Holy Prophecies as well as the Book of Jubilees as well as the Book of Jasher. The one thing that is used a lot to claim the existence of millions of years is the existence of Dinosaurs. Bones of dinosaurs have been found buried in various parts of the world. Since humans are in the Bible, we unconsciously think that dinosaurs were extinct—and therefore not mentioned in the Bible. As you will see, the Bible not only refers to dinosaurs, but has detailed information about two of them. Reading the Bible carefully, you will realize that no living creature matches the descriptions of behemoth and Leviathan. However, if you grab your kid’s dinosaur book, you will notice several possible matches for each one. What does the word Dinosaur mean in the Hebrew Language which is the language of creation? The word dinosaur refers strictly to land animals, but some people often label marine reptiles (e.g., plesiosaurs) and flying reptiles (e.g., pteranodons) as dinosaurs.1 Dinosaur is also a relatively new word, having been coined in 1841 by the famous British scientist Sir Richard Owen.2 Prior to this time, another word was used for large reptilian creatures: dragon. Answers in Genesis has often promoted the idea that many of the characteristics of historical (often considered mythological) dragons actually match those of certain dinosaurs. The Bible describes a few fascinating creatures that some have classified as dragons. There is Leviathan, the mighty, imperviously scaled sea creature that breathes fire ( Job 41 ).3 Another animal called “behemoth” is described as a plant-eating creature that “moves his tail like a cedar” and whose “bones are like beams of bronze” ( Job 40:15–24 ). Behemoth’s characteristics, along with other descriptions in this passage, often bring to mind the mighty sauropod dinosaurs, such as Brachiosaurus. These two creatures are described at length as specific beasts, but there is another Hebrew word used to describe a dragon-like creature: תנין (tannin, pronounced tan-neen), which seems to cover a broad range of reptilian creatures. The characteristics of a tannin, as described in Scripture, are helpful in determining what this creature could have been. We learn that a tannin was powerful—so powerful that one, figuratively speaking, needed a “guard” to keep it under control ( Job 7:12 ). And according to Isaiah, it was difficult to kill. In both Isaiah 27:1 and 51:9 , it is the Lord who slays the tannin. The Leviathan is described as an incredibly strong creature in Job 41, and it is called a tannin in Isaiah 27:1 , so some tanninim were very powerful. In Deuteronomy 32:33 , Moses utilized synonymous parallelism to equate a tannin with a cobra. When Aaron cast his rod before Pharaoh and his servants, it became a tannin ( Exodus 7:9 ), often understood to be some type of snake, as will be shown below. So these beasts can be quite powerful (and presumably large), and they can also be serpentine (and presumably smaller). Dinosaurs did not exist millions of years ago but rather sometime after the Sons of GOD transgressed with the Sons of men (Genesis 6). I have learned that when the Sons of GOD came to transgress with the Sons of men, they not only had sexual relations with the Sons of men but also with animals. Dinosaurs are actually giant lizards. They belong to the reptile family. I understand that there was a video which was shown on the National Geographic channel about dinosaurs ( WALKING WITH DINOSAURS) and in this video all kinds were shown, including those in the air and those in the water. This can be very confusing especially because the video depicts that mankind did not exist during their time. However, as per the Book of the Secrets of Enoch and Book of Enoch, the dinosaurs did exist at the same time as mankind did. This was one of the reasons YAH sent the Great Flood. Click here to learn more about the existence of dinosaurs. So just as there were giant human beings, there were giant animals within the same time frame before the Great Flood. Enoch prophesied all these things before his harvest/rapture to the Heavens. The reason i uploaded this picture is just that it proves that dinosaurs did not exist millions of years ago but rather thousands of years ago (not 30,00 or 40,000!!!). So, in terms of how old the world is, the answer is found in a very crucial book which was disregarded and eventually removed from our current Holy Bible. This Book is called: The Book of the Secrets of Enoch. Well, the answer is that: based on the events seen in the current affairs as well as day-to-day, the earth is almost 7,000 years old. YAH made it clear in the Book of Enoch and Book of the Secrets of Enoch that HE would only allow 8,000 years then eternity where no counting of time will be prevalent. Additionally, YAH’S SALVATION came to mankind in the year 5,500 as scheduled by YAHUVEH/YAHWEH GOD Almighty. This means that in the year 5,500, YAHUSHUA was crucified and resurrected after three days. It was on the Resurrection morning that YAHUSHUA’S Promise to Adam and Eve was fulfilled, that is to say that, Adam and Eve as well as all the other patriarch and matriarchs rose from the dead in Sheol (a.k.a Hell the Lake of Fire) where they had been since they had died. This is revealed in The Gospel of Nicodemus originally called The Acts of Pontius Pilate. 3 Blessed (is) the man who has not been born or who has been born and shall not sin before the Lord’s face, that he come not into this place, nor bring the yoke of this place. 1 I saw the key-holders and guards of the gates of hell standing, like great serpents, and their faces like extinguishing lamps, and their eyes of fire, their sharp teeth, and I saw all the Lord’s works, how they are right, while the works of man are some (good), and others bad, and in their works are known those who lie evilly. The signs are everywhere. We are truly the last generation on this earth. It also means that on the Hebrew Calendar which is YAH’S Calendar, we can not be in the year 5778 as claimed by the Orthodox Jews! The Hebrew Calendar was also messed around with by the Orthodox Jews (particularly the Sanhedrin) in terms of years. This happened after YAHUSHUA’S death so as to cover up YAHUSHUA’S 1st Coming to earth in Israel. If indeed YAH (a.k.a GOD) Almighty has prophetically revealed who HIS “Eliyahu/Elijah of New” is as per Malachi 3 & 4 and we are very close to the Great Tribulation (a.k.a The Time of Jacob’s Trouble) plus the Two Witnesses of Zechariah 4 and Revelation 11 are already on this earth, then surely, the earth is more than 6,000 years old and very close to the year 7,000 as per the Book of the Secrets of Enoch. Counting from the very first day of Creation as per Genesis 1, the earth is more than 6,000 years old. 1 And I appointed the eighth day also, that the eighth day should be the first-created after my work, and that (the first seven) revolve in the form of the seventh thousand, and that at the beginning of the eighth thousand there should be a time of not-counting, endless, with neither years nor months nor weeks nor days nor hours. 7 And I give you Samuil and Raguil, who led you up, and the books, and go down to earth, and tell your sons all that I have told you, and all that you have seen, from the lower heaven up to my throne, and all the troops. 9 Give them the books of the handwriting, and they will read (them) and will know me for the creator of all things, and will understand how there is no other God but me. 10 And let them distribute the books of your handwriting–children to children, generation to generation, nations to nations. 11 And I will give you, Enoch, my intercessor, the archistratege Michael, for the handwritings of your fathers Adam, Seth, Enos, Cainan, Mahaleleel, and Jared your father. In conclusion, the world can certainly not be and is not millions of years old based on the accounts written in the Book of Jubilees; Book of Enoch and Book of Secrets of Enoch! 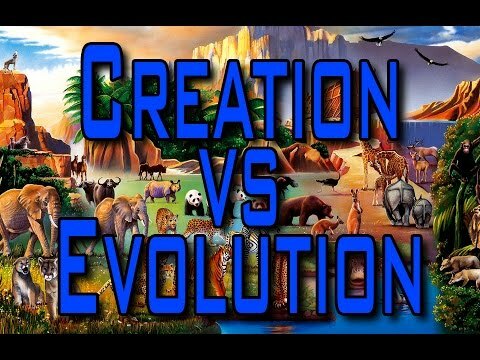 The following is proof enough that CREATION IS A FACT whereas EVOLUTION IS A THEORY!! !